I should know better. Triple IPAs really aren't my thing. Too much alcohol and over-the-top hops. But sometimes a quick beer outing on a Saturday is too much to pass up. 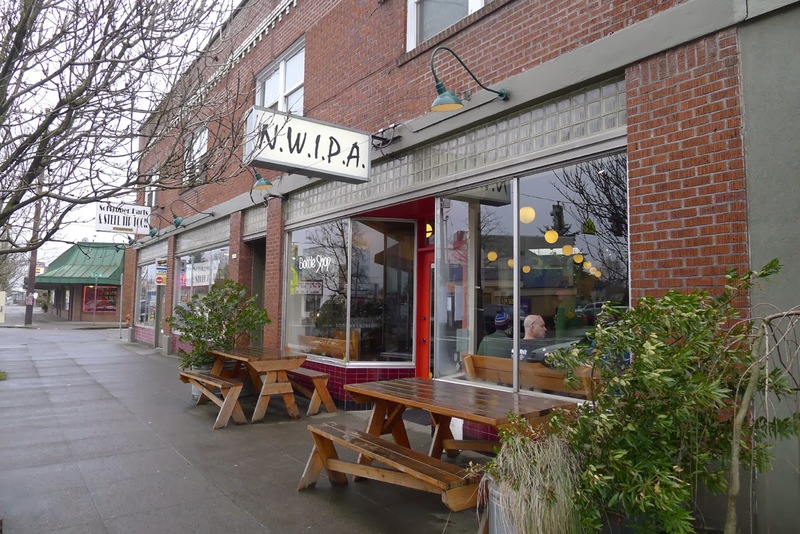 The chance to visit NWIPA, a place I'd never been, carried the moment. 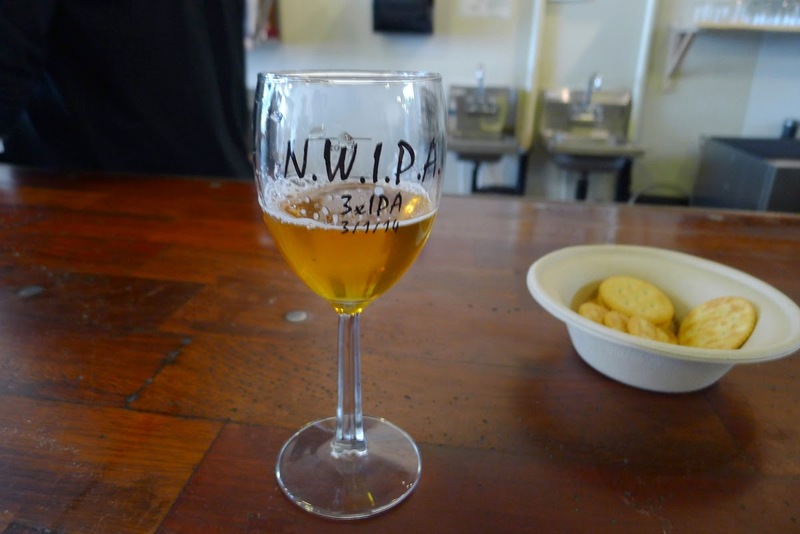 The event was the first ever Triple IPA Festival at NWIPA on Southeast Foster Road. I didn't know the vintage of the event, but I heard the gents behind the bar telling numerous patrons it was a first for them. And not a bad idea. I'll get to why. I arrived in the early afternoon. The place was busy, but not packed. There was some muddy, industrial heavy metal playing through the sound system. NWIPA has a collection of vinyl and that's what they played while I was there. The music later switched to some kind of hip-hop. It was time to go. They were pouring five serious triple IPAs...Boneyard's Notorius, Barley Brown's Super Slapper, Moylan's Hop Craic and a couple of others. The list changed throughout the day, I understand. These beers all clock in at over 10% ABV. They have layers of hops over the top of pretty minimal malt profiles. These are palate wreckers, plain and simple. The cost was not offensive. I bought a $5 wine glass for tasting. It came with a 2 oz taste of my choice. Additional tastes were $1 for 2 oz, $2 for 4 oz and $3 for 6 oz (full glass). They had water close by and palate cleansing crackers (for what they were worth) were available to all. Not a bad setup. This was mostly a young crowd. It occurred to me that these folks are a perfect fit for the beers and the venue. Triple IPAs are the heavy metal of beer in my estimation, a stripped down style designed solely to showcase bold hop character. They resemble the music that was being played. You might think heavier barrel-aged beers are the heavy metal beers, but it seems to me those beers are more complex than these triple IPAs. The NWIPA folks did a nice job keeping people filled up and monitoring numerous tabs. That part was nuts. I bet the tab chase got old as the day and evening wore on and it got busier. Maybe they'll sell tokens at the door and be done with it next time. I assume there will be a next time because there are clearly plenty of people who actively hunt for these hop bombs. 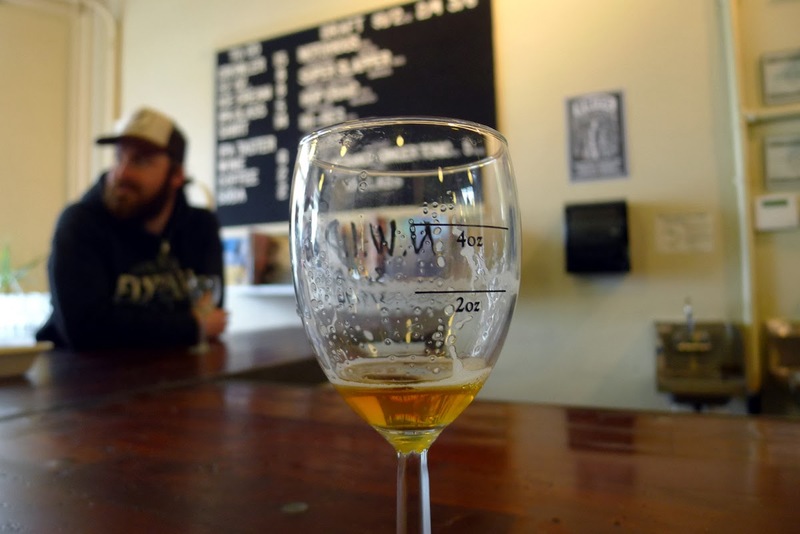 These beers are so wildly out of balance that picking a favorite is a sketchy business. Of the group I tasted, I thought Super Slapper had the most balance. By that, I mean it had some semblance of a malt backbone to go with the hop gaudiness. Notorius, which I have had before, is good, but the Super Slapper was my favorite. The others were tied for third. I heard differing opinions. I suspect this event will become a regular thing. Why? Because these triple IPAs are a perfect fit for the demographic that faithfully turns out for such beers at places like this. And the folks at NWIPA know how to put together a party. When they do it again, people will come. I'm glad to hear that they pulled off a first time event well. I like my hops over the top but one of the things that kept me away was the ABV. I had plans later in the day and attending this event wasn't in the cards. Next time perhaps.